"The Sagebrush Sparrow was formerly considered one of five subspecies of the “Sage Sparrow." 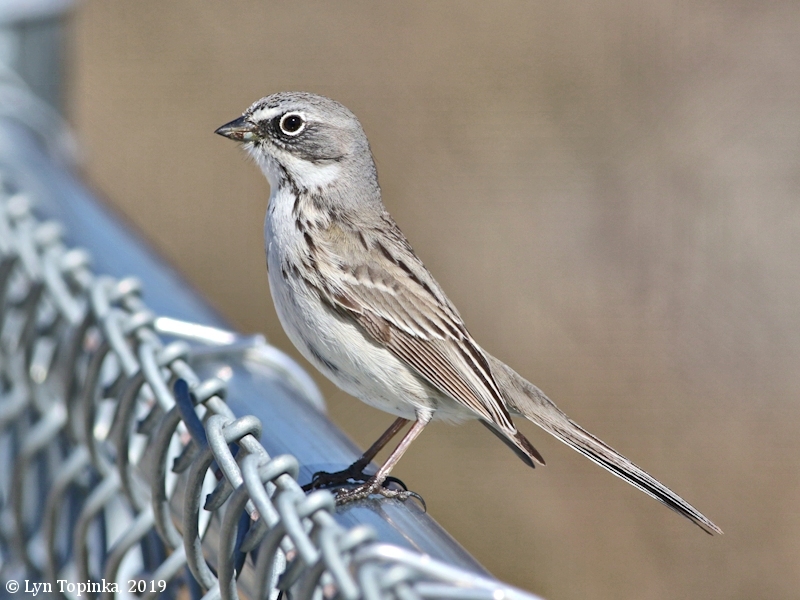 In 2013, Sage Sparrow was divided into two different species: one subspecies became the Sagebrush Sparrow, and the other four were classified as subspecies of Bell’s Sparrow. 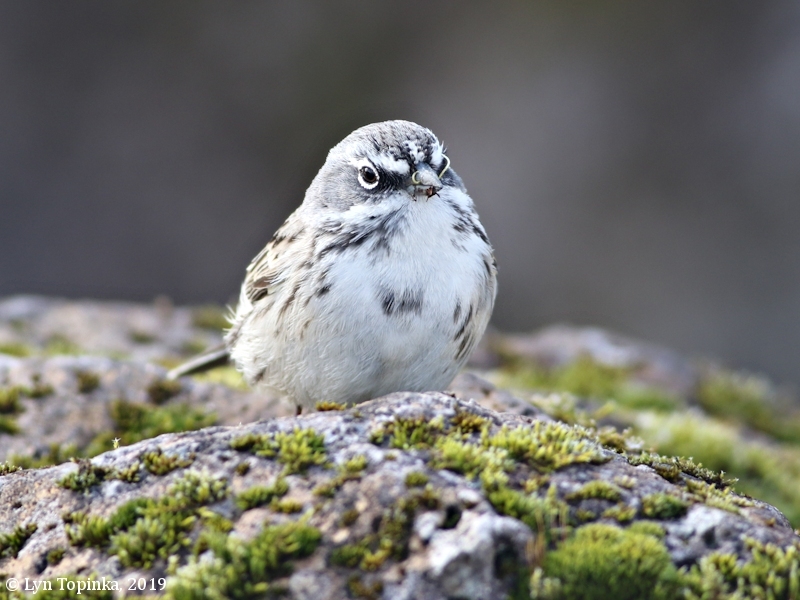 Bell's Sparrow has more subspecies and greater geographic variation because of their adaptability to a greater variety of habitat types and mountain ranges in and around California. 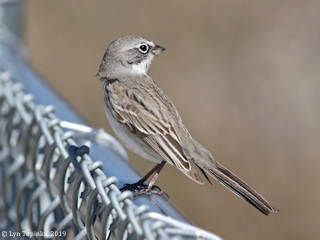 The Sagebrush Sparrow, with somewhat paler plumage and longer wings (attributed to longer migrations), is fairly uniform across its broader range in the intermountain West of North America." 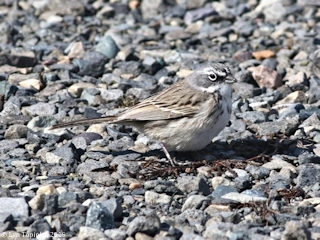 Ehrlich, Dobkin, and Wheye, in their 1988 publication "The Birder's Handbook", write "Sparrow is based on the Anglo-Saxon word meaning 'flutterer'." Click image to enlarge Sage Sparrow (now re-classified as the Sagebrush Sparrow), Shillapoo Wildlife Area, Vancouver, Washington. Along LaFramboise Road. Image taken February 14, 2010. Canon Rebel, 300mm. 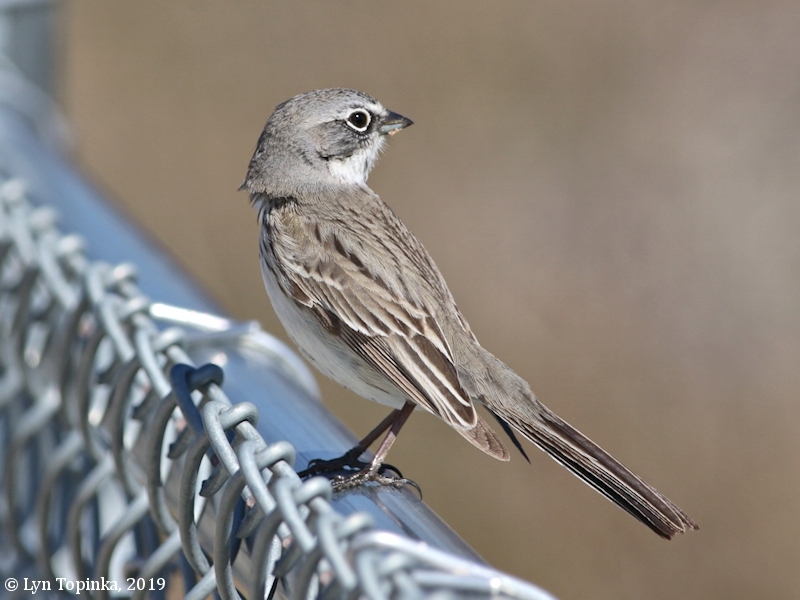 According to birding record-compilers (February 2010), this particular individual is only the 2nd of its species ever confirmed in Clark County, the first being the Sage Sparrow which showed up at Ridgefield NWR last February. Click image to enlarge Sage Sparrow (now re-classified as the Sagebrush Sparrow), youngster. Overcast and rainy, occasional sun breaks. Ridgefield National Wildlife Refuge, Washington, River "S" Unit. Image taken, February 25, 2009. 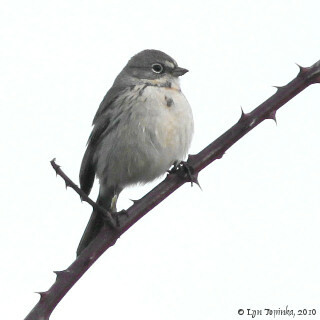 According to birding record-compilers (February 2009), this bird is the 1st of its species ever confirmed in Clark County. Click image to enlarge Sagebrush Sparrow, Hamilton Island near Bonneville Dam, Skamania County, Washington. Dam Access Road. Image taken March 9, 2019. Canon EOS 7d2, 400mm. 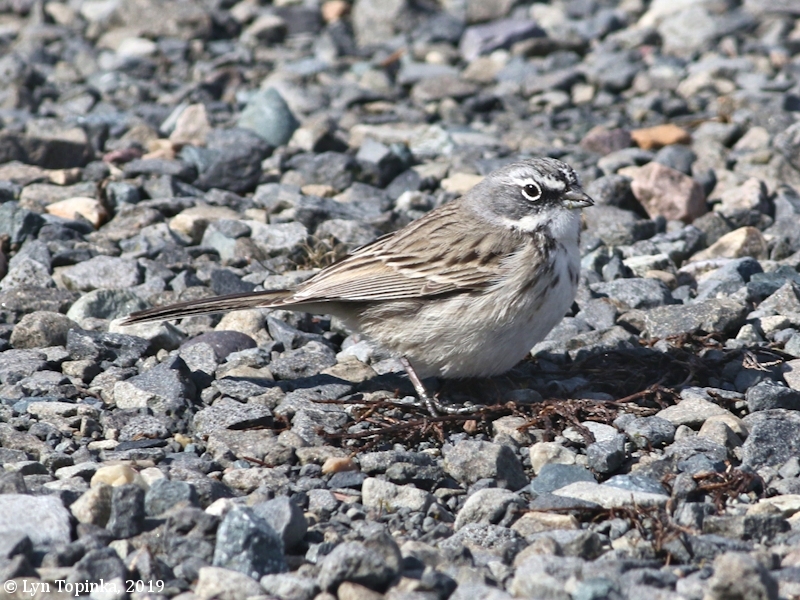 According to Wilson C. (March 2019) birding record-compiler for Skamania County, this bird is the 1st of its species ever confirmed in Skamania County. Click image to enlarge Sagebrush Sparrow, Troutdale, Oregon. Swigert Road. Image taken March 15, 2019. Canon EOS 7d2, 400mm. 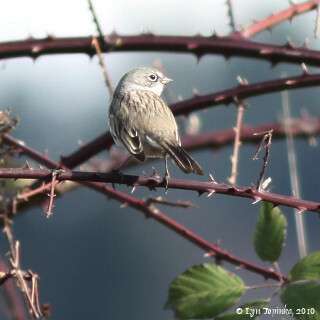 According to birding record-compilers (March 2019), this bird is the 3rd of its species ever confirmed in Multnomah County.